Products that carry the Netgear Green logo means a commitment to smarter, greener products, helping business and home increase energy efficiency, use less energy and save more. Netgear Green products include Unmanaged Switch, Wireless Router, and more. 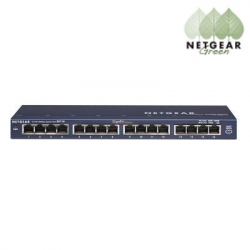 With up to 48 port and 10-Gigabit connectivity, Netgear Green products deliver maximum throughput in SMB networks. 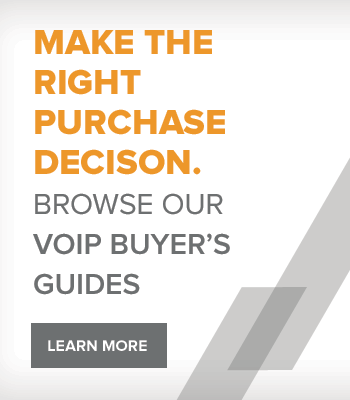 The future-proof design allows you to integrate your existing or future VoIP infrastructure. Your IT admins also have the flexibility to configure a smart switch to tailor to your business needs. 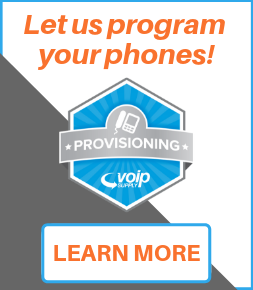 Rich user-friendly features: Auto failover, Netgear Network Management System, Supports high-bandwidth applications, and more. 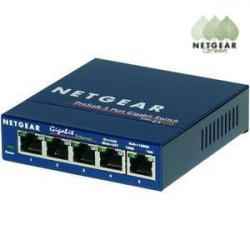 The Netgear GS116NA is an unmanaged 16-port Gigabit 10/100/1000 Desktop switch that provides a powerful, high speed network on a small scale. The GS116 lets you build a system that gives full dedicated 1000 Mbps connections, suitable for instantaneously moving large files across the network. 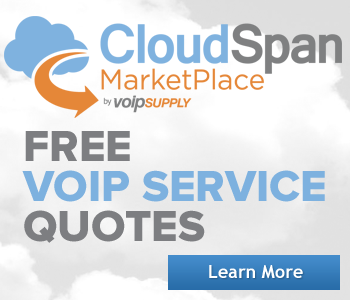 This standards-based switch allows you to integrate your existing or future VoIP infrastructure with 10, 100, and 1000 Mbps devices. 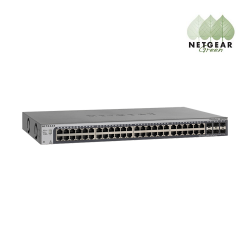 Netgear GS105NA is a 5-Port Unmanaged Gigabit Switch that is part of Netgear's Unmanaged Switch Series, designed to cost effectively help businesses expand their networks to Gigabit speeds. 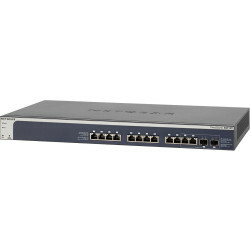 The Netgear XS712T is a 10 Gigabit Smart Switch for SMB offices. The XS712T has twelve 10G copper ports, two combo 10G Fiber SFP+ port, and supports network features like VLAN, QoS, IGMP Snooping, Link Aggregation, and rate limiting.